During the Cold War, Soviet scientists began researching herbs that could give their soldiers, athletes, and even champion chess players an edge. They called these herbs adaptogens, because they help the body to better adapt to stress. These same herbs were used thousands of years ago in ancient ayurvedic and traditional Chinese medicine to strengthen the weak and prevent illness. Today, people reach for adaptogens such as ashwagandha, ginseng, astragalus, and holy basil for immune system support, clearer thinking, and better sleep. It may seem strange at first to take your medicine as a smoothie. It may seem strange at first to take your medicine as a smoothie, popcorn ball, or granola bite, as most of us are conditioned by a modern mentality in which diseases are exclusively treated through pills and procedures. But herbalism is far more nuanced, often blurring the line between food and medicine. Noveille’s book pays homage to this tradition with recipes that resemble snacks more than health care. For people who don’t like swallowing pills or the bitter taste of extracts and teas, taking adaptogens in a chocolate pudding, in a latte, or on candied walnuts can be a lot more fun. While some herbs are only meant to be taken for acute conditions for a short period of time, adaptogens work best with long-term use and daily consumption. To qualify as an adaptogen, an herb must be non-toxic, guard against physical, chemical, and biological stressors, and have a normalizing effect on physiology. “These herbs are more like functional foods. They are something we can eat every day,” said Noveille. 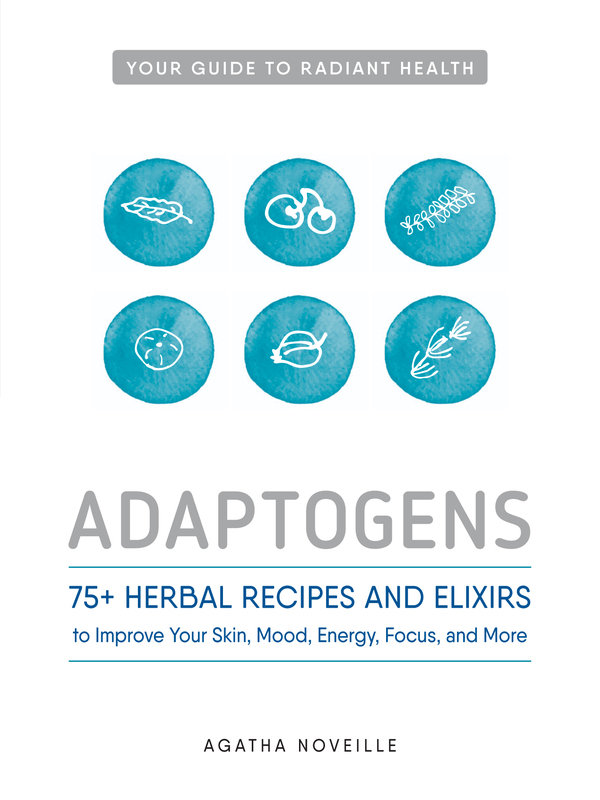 You don’t need an illness to use an adaptogen. Some athletes use these herbs to boost performance, and people with high-stress jobs reach for adaptogens to maintain their stamina and focus. Adaptogens are usually roots, but some are leaves, barks, or berries. 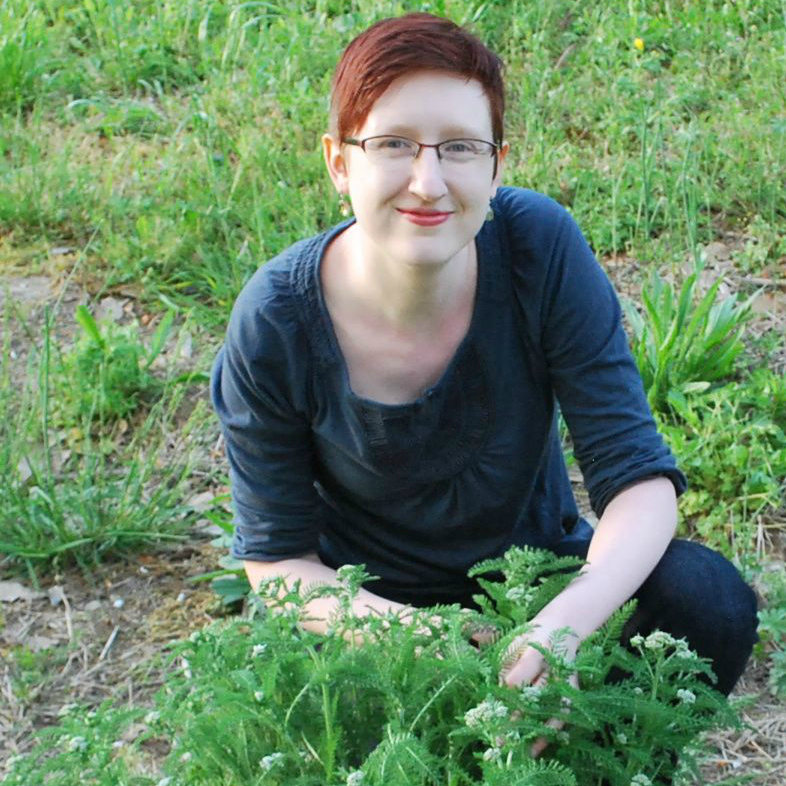 Noveille’s book calls for herbs in powdered form so that they may be easily incorporated into a recipe. Bulk herb powders can be purchased at the health food store, but Noveille urges readers to make sure the product is not past its prime. Raw herb powders don’t necessarily go bad, but they can lose much of their potency over time, especially if they’re not properly stored. “I usually prefer to get mine online. There are a couple of really wonderful distributors who will let you buy only an ounce of an herb, or a whole pound. Usually they have really good turnover because they have a wider reach and more customers than a local health food store,” Noveille said. Her book provides an index of her favorite distributors. Noveille’s recipes are categorized by their medicinal aim, such as immune support, sleep, and mental focus. Some are geared specifically toward women’s health and others are more for men. 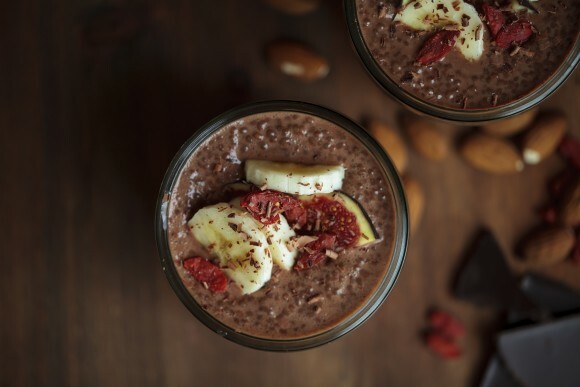 Her recipe for Ultimate Choco Chia Dessert Pudding uses shatavari, an ayurvedic adaptagen, but it can be easily swapped out for another adaptogen of your choice. Chia seeds are a great source of protein and omega-3s, both of which are excellent for brain health. Similar to flaxseed, chia seeds will “gel” with soluble fiber when exposed to liquids, creating a fun texture that makes a great, no-fuss pudding. Unlike flax, the seeds are barely noticeable in the finished gel, which makes chia a great option for breakfasts and snacks. Three tablespoons of chia usually sets up as a nice, thick pudding when combined with 1 cup of liquid, but if you find that your pudding is still a little thin, stir in another 1/2 tablespoon and wait for 15 minutes. If you add more chia seeds to these recipes, be sure not to skip that 15-minute rest. Eating chia before it gels can be uncomfortable—they can start to expand when mixed with your saliva or other liquids and be difficult to swallow, as they keep expanding on the way down. Chia pudding is the ultimate snack, dessert, or breakfast for busy people because it doesn’t mind being thrown together in a hurry and then being left unsupervised overnight. Seriously, mix the ingredients together and let them sit in the refrigerator overnight, and you’ll have a nutritious food ready when you wake up. And if you already have a favorite chia pudding recipe, why not try adding your favorite adaptogen to the mix? 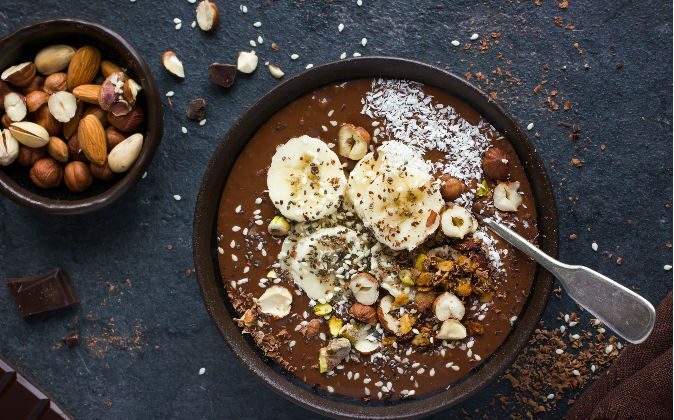 This chia pudding recipe is my excuse to eat chocolate for breakfast. Not that I really need an excuse (being an adult is pretty awesome), but it does make a nice incentive for eating breakfast on days when I’d really rather not. That’s when the optional granola in the ingredient list comes in handy. Chia seeds are a good breakfast food, but granola definitely puts this on the list of valid and acceptable breakfast options. Usually, I’m only tempted to skip breakfast when I’m in a rush, so I make this the night before a busy day and grab it on my way out the door. When I’m feeling more like an adult and less like I need to bribe myself to eat breakfast, this recipe makes a nice less-guilt dessert option, sans granola. The rich chocolatey flavor hides some of the less palatable adaptogens surprisingly well, so feel free to experiment with the adaptogens you prefer to support your mental prowess. Use 1/4 teaspoon of powdered adaptogens total per serving. Whisk together the milk, cocoa powder, organic chocolate syrup, vanilla extract, salt, chia seeds, and shatavari powder in a serving bowl. Place the pudding in the refrigerator and allow to set overnight. In the morning (or later in the day as a snack or dessert), add a handful of cacao nibs and granola to your pudding, and enjoy!